I have never been the girl that needs closure when it comes to books or movies. I have always loved being able to create my own little ending in my mind or am just content with never knowing what becomes of the characters that I have invested my time and emotions in. So, I was somewhat shocked with myself by having the huge urge to go back to the many places that I have gone to or to follow up with those that I have met while on my volunteering ventures. I have had the opportunity to return to New Orleans exactly one year from my first trip. It was the most incredible experience seeing how the city had grown and rebuilt since the last time I was there. I was able to drive past the old houses that my team had previously helped to restore and I was filled with the most content feeling of all. Knowing that things were moving forward in the lives of those that we helped was a huge blessing to see in person. If I had the opportunity to venture back to Panama and revisit the loved ones that I had established in San Felix, David, and those in the Ngobe villages, I would in a heartbeat. I would love to see what is going on in their lives and find out whether the food sources that we helped to build up and mature have truly helped improve their quality of life and whatnot. Sometimes I have the biggest urge to jump on a plane and just go, leave my life in the States and continue the work that the group that I went with that summer had started. There is never end end of the need of others and I know that there are few that are willing to go so far to help a few villages in the jungle. 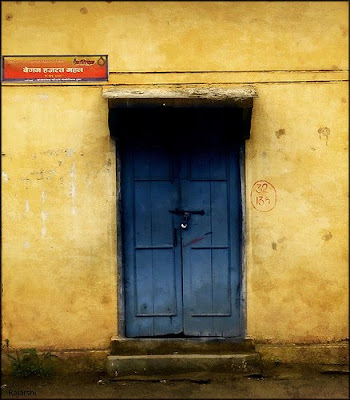 In fiction, I am able to dismiss the need for an ending because those people that I invested my time in was in a very shallow fashion, whereas these trips I have take have led to extremely deep emotion connections and the true desire to know how the lives of these incredible people have turned out to be. I suppose there are some things you devote your time to and never see what the true impact is on those you have tried to effect. Knowing that I have tried to do improve a few lives is enough for me to be satisfied. Throughout my life, I have never wondered why others have gone out of their way to lend a helping hand to someone in need. It has always felt natural on some level. In both my Anthropology and Psychology classes, I have been continuously told that humans are social creatures and to develop properly, we must have interaction with other people. I would feel that not only would we need to have social interaction to be stimulated, but that we would need positive interaction, as well, to become balanced person. As Dr. Martin Luther King, Jr. said, judging our successes in life have always leaned towards what type of wealth we have posessed and whether we have all that we have ever wanted. Our "service relationship to humanity" should have the most powerful impact on how others see us and what we have contributed and truly gained throughout life. I feel that if you want to truly inspire others, you must reach out and do something for the community. Looking at the lives of Mother Theresa and Martin Luther King, Jr., we can see how great of an impact giving back and trying to better the lives of others can truly have on a community, a nation, and the world. Bill Clinton once said that "volunteers are vital to enabling this country to live up to the true promise of its heritage." What is truly important to me is to make someone's life a little bit better through the actions that I take and the way I choose to live my life. I hope that one day, I will be seen as someone who has truly given back all of the things that I have been given. I would love to be known as someone who trys not to put herself first and trys to inspire others to do the same. As this blog begins to come to a close, I would like to begin to talk about different ways to help others and volunteer your time in a way that can benefit the lives of those in other countries, as well as our own. Through my experiences, I have almost always sought out these different venues through my church or other Christian organizations. 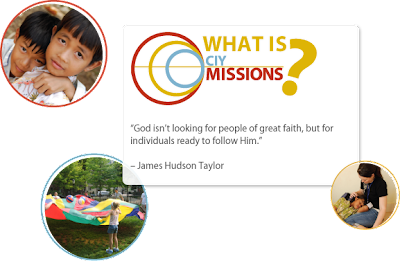 I was able to go to the country of Panama for a month through an organization called Christ in Youth (CIY) or I have heard of others finding mission/service work through YouthWorks. These different programs help find different opportunities in the area where you would want to volunteer your time and help to layout your trip, helping to find different resources to create a more efficient, helpful, and fun experience for everyone involved. Once you get everything in line, most of your trip can be planned out for you. 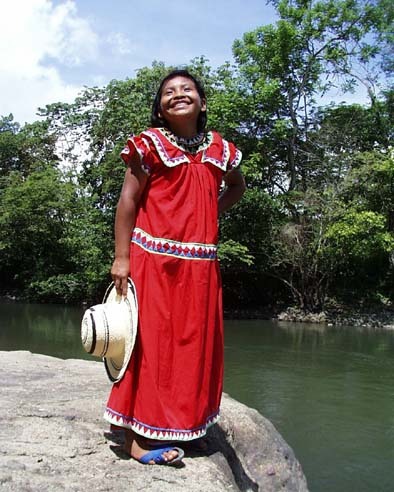 For my Panama trip, I was able to reach my destination of David, Panama, and after that, the different villages were prepared for our arrival and we were able to help them in as many ways as possible within our time frame. Everything ran extremely smoothly and we were able to help these people in so many different ways. If this is something that you would really want to do, there is no stopping you from achieving your goal of helping someone in need. There is no need to feel intimidated by a large, international trip because there are so many people that are there to help out and plan these trips for you. With all of the medical shows now scattered all of the TV, I have began to wonder what will become of my things after I get old and pass away. My possessions? I'm not sure what to do with or who to leave certain things to. What I have always known that I want to do for sure, no questions asked, is donate my organs. I have always been a supporter of organ donation because even if my life could not be saved, one or several lives could be. When there are over 101,000 different people waiting for specific organs, I feel as if we need to step up and take on the responsibility and duty of being a donor. What is really great is that there is no age limit to become a donor. There are instances where a 60-year old's heart could be much healthier than a 20-year old's. Anyone can be a donor, even if you have a disease. Where this disease may affect one of the possible organs, there others that could still save lives. Helping people has always been my life, whether it is something extremely small like giving a smile or going on a service trip to a foreign country. Why would I not want my final step out of this world benefit someone who is in desperate need. Their time is not up and I feel like it would be my responsibility to help them stay alive and healthy as long and as soon as possible. What I found out while I was in the process of writing this article is that there is a program that is promoting itself to colleges and universities specifically, called "2009 National Donation Campus Challenge." Their goal is to register 60,000 new organ donors by November. On OrganDonor.Gov, in regard to this Campus Challenge, they say, "The 2009 National Donation Campus Challenge promotes partnerships between organ and tissue donation organizations and colleges, universities, and other post-secondary institutions. Working together to register 60,000 new organ donors by November 30, 2009. You can be the one who gets administrators, staff, faculty, students, alumni — the whole campus community — to join in and sign up. " Ending World Hunger with Vocab? What I discovered during the first semester of my senior year of high school, and subsequently donating countless hours to, is a website called FreeRice.com. This site is a way to help feed the wold—one vocabulary word at a time! 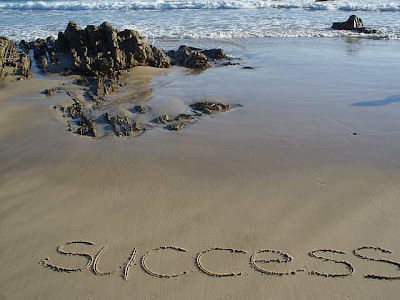 When visiting the site, you are prompted with a word and four possible meanings of that word. When you correctly answer one of these questions, the site, and its advertisers, will donate ten grains of rice. A new feature that they have added onto the site has been the option to change the subject of the words. FreeRice used to just give the viewer English Vocabulary words and called it a day, but now they are allowing you to change the language of the vocab, specifically for studying the new languages and beginning vocabulary of Italian, French, German, and Spanish, along with the new options of being tested on geography, country capitals, chemical symbols, English grammar, and famous paintings. What I found really helpful was that during the time that I came across this website, it was around SAT time and I was able to study vocab while still helping to contribute to the war on hunger. There is an extensive variety of continuous tests on the site, so one can spend anywhere from five seconds to hours on FreeRice and still help to make a difference for the world. 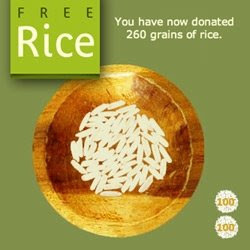 To date, FreeRice has been able to donate 62,622,922,890 grains of rice after starting on October 7, 2007. 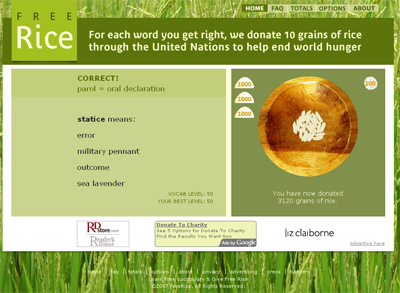 FreeRice is a non-profit website run by the United Nations World Food Program. They partner with the Berkman Center for Internet & Society at Harvard University. This site has two goals, as taken from their website, to provide education to everyone for free and to help end world hunger by providing rice to hungry people for free. I took the opportunity of coming across this website and told my fall semester senior English class. My teacher was an extremely relaxed teacher at my high school, especially because this was a senior course and was seen as a blow-off class. While working in the computer lab on a paper, my teacher would let us only visit FreeRice on the Internet after finishing our projects and papers. It doesn't really seem as if FreeRice would be any fun whatsoever, but everyone in that class, which happened to be a hodgepodge of every group of seniors in my school, became quite attached to the little game and would spend all of our free time trying to get ten more grains of free rice. I would definitely encourage anyone to check out this website, even for just a minute, it would really help and it is completely painless and actually beneficial to you and your vocabulary. I am currently taking an Anthropology class entitled, “Global Perspectives on Health.” In this course, my class has been able to look into the certain diseases that affect different countries and why they manifest themselves so differently from culture to culture and area to area. In my class on Monday, we began to discuss the different epidemics of infectious diseases that have surfaced in different areas. One that we touched on that is extremely well-known and attention-getting, is HIV/AIDS. After we danced through the not-so-happy discussion of the symptoms, causes, and lack of a cure, we began speaking of the Africa-specific issues that have been going on lately. Dr. Sharon Williams, the professor of this course on global health, was rattling off the names of countries that have the largest infection rate for the HIV virus. As she was naming these countries, I could only think of one of my closest friends, Emily, who has had the opportunity to spend over 6 months of her life within an orphanage in Uganda, Africa, which was on that list. Emily has devoted so much of her time and love to these children at the Amani Baby Cottage in the capital city of Jinja, Uganda. During class, we were talking about the immense number of children that have been orphaned by the death of their parents due to the HIV/AIDS epidemic. There are literal missing generations within some of the villages in Africa, simply due to this disease that has been such a terrible dark cloud the country of Uganda. While telling me of her visit and work in Uganda, Emily would talk about how close to all of the children within the orphanage had lost their parents to AIDS and a large portion of them actually had contracted the disease themselves through their birth. Hearing these stories from Emily has truly intensified my sadness for these kids and the situations that life has left for them. I cannot believe what a sad time it would be to lose one or both of your parents to AIDS. Emily was able to instill some hope and love into these lonely children in the Amani Baby Cottage. The six months that she has spent there was broken up into two separate trips, and she is about to venture to Africa again this May. When she did return for the second time, the children that she was able to take care of the previous summer remembered her so well and their relationships grew stronger and their lives grew closer. I can see it in Emily's eyes whenever she is talking about another Amani story or Ugandan child—she is absolutely in love with these kids. 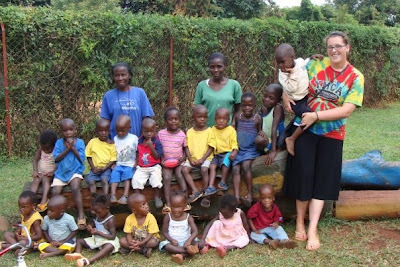 Her heart is in Africa and she has devoted so much of her life to loving these children who have lost so much. I hope that so many people can draw from her life and experiences, knowing that going out on a limb and sacrificing some of your time for a cause that you believe so much in, truly will be rewarding. Relay for Life has always been an incredible way to reach out to the community, stand up for a cause, and show love to those going through a truly rough time. This organization is a one-day event in an area that is held by the American Cancer Society. Every year, this signature event brings more than 3.5 million people from 4,900 communities across the country together each year to celebrate the lives of those who have battled cancer, remember loved ones lost, and fight back against a disease that takes too much. 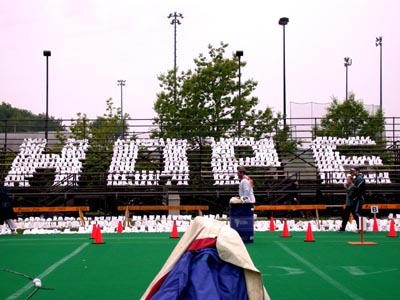 Relay for Life is an overnight event that helps to fight cancer by raising money for the American Cancer Society through the participation of millions of people across the United States. I have personally participated at my high school, and it was a great experience that was not only helpful to the American Cancer Society, but also a way to show that these people that are fighting or have fought this disease have not been forgotten. Teams of people camp out at local high schools, parks, or fairgrounds and take turns walking or running around a track or path. Each team is asked to have a representative on the track at all times during the event. Different teams use their individual fund raising ideas to help raise money for the organization as well as the option of being sponsored by a business. This Saturday, April 4th, is the annual Purdue Relay for Life. It is being held at the Armory and parents, students, faculty, and neighbors are all more than welcome to come out to the festivities. There will be plenty to do and see. While still having the main focus on the action on the teams and members walking to support the American Cancer Society, there will be many other activities and competitions to be watched, including the Miss Relay Pageant. There will also be awards given out for: Top Fund Raising Team, Top Fund Raising Individual, Best On-site Activity, and Most Spirited Team. Come out and enjoy the fun at the Armory! Miss Relay Pageant - 2:00 A.M.
For more information, contact Jessica Dunten, Relay Chair - jdunten@purdue.edu. I am a freshman at Purdue University. I absolutely love using my free time to help people.